HD video training lessons for iPhoto '11. 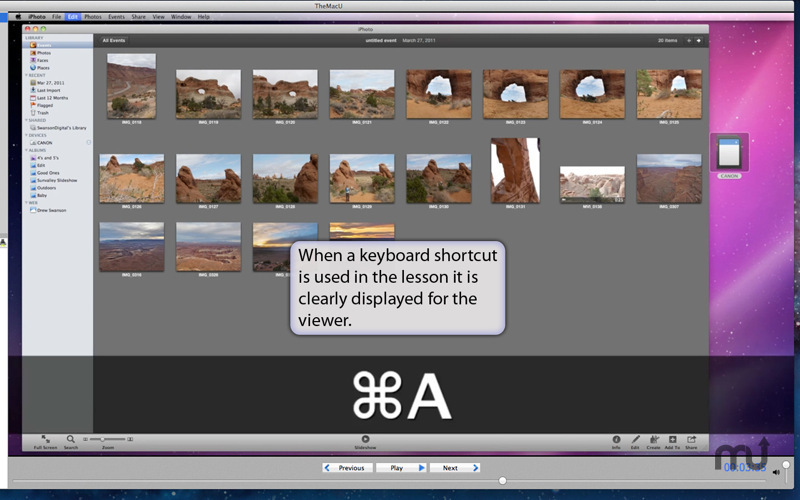 Is there a better alternative to Learn iPhoto '11? Is Learn iPhoto '11 really the best app in Teaching Tools category? Will Learn iPhoto '11 work good on macOS 10.13.4? 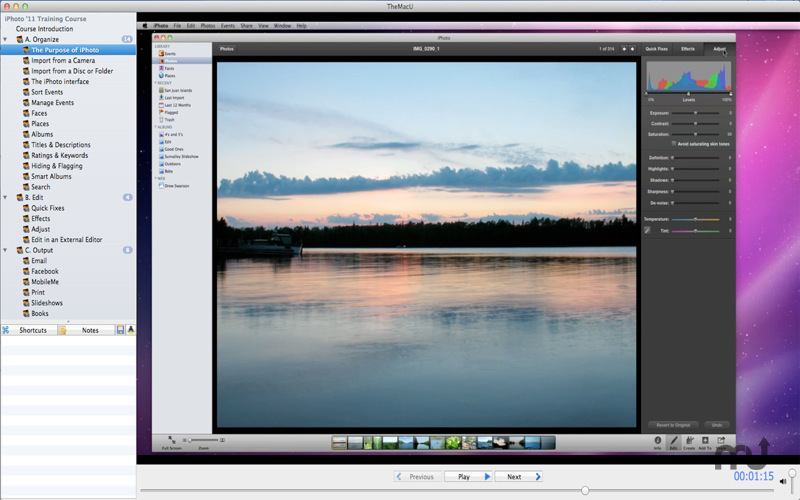 Learn iPhoto '11 provides nearly two hours of HD video training lessons on how to organize, edit and output your digital images with iPhoto '11. 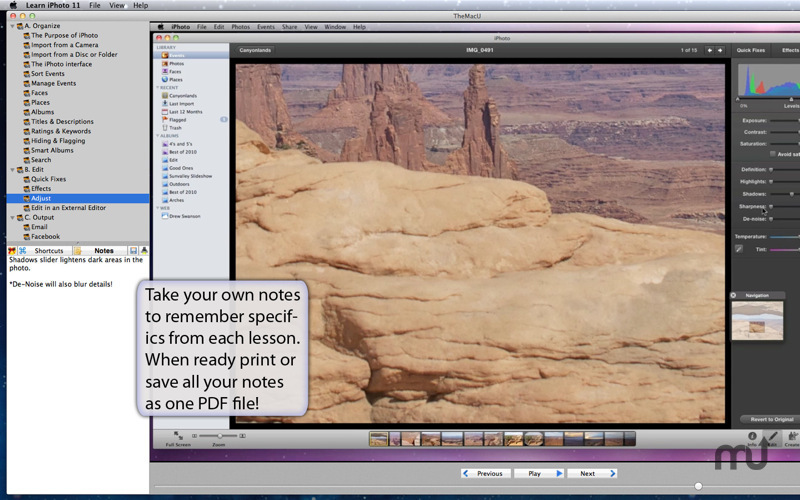 Includes 28 individual HD screencast videos guiding you though how to utilize every aspect of iPhoto. Use the Shortcuts and Notes panes to view the keyboard shortcuts used or to jot down your own notes for each lesson. Your notes can then be saved to a PDF or printed. 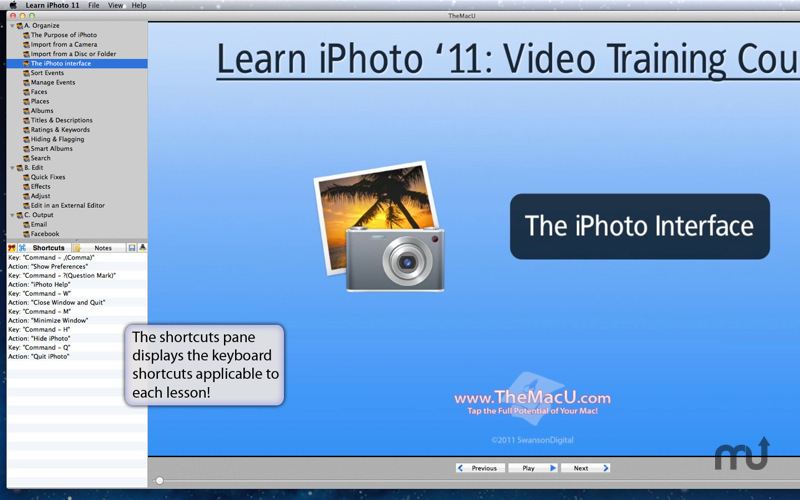 Get the most out of iPhoto '11 with this video training App from TheMacU.com! New playback features, variable speed and 30 second replay! Dual full screen modes. View only the video in full screen or the full App interface with lesson list and video! Learn iPhoto '11 needs a review. Be the first to review this app and get the discussion started!